Some Facebook business pages simply 'shoot from the hip' with their status updates, in hopes that it will catch the attention of their fans. The secret to having an effective Facebook business page, is to have a strategy. This is where a monthly content calendar comes in handy. Facebook is a social network, and your page needs to have consistent social interaction in order to be successful. Posting consistently, with fresh content, will engage fans and attract new fans to your page. To help you manage this stream of information, take time at the beginning of each month to create a content calendar that records every new post for the month. Sure, there may be days where you will want to veer from the strategy, but having a guide will enable you to easily manage your page and maintain fan interest. 1. Set-up a Calendar. You can use whichever program you feel most comfortable using, I prefer to use Microsoft Word which offers some nice calendar templates for this. 2. Post Frequency. Decide how many times a week/day you will post. 3. Theme/Category. Decide on a theme or category for each day you are posting. It can be easier to formulate post content when you have a consistent theme for each day, for example, maybe on Monday you will post your weekly specials, Tuesday you will post an insider look at the company through a photo or video, Wednesday you will post a relevant article, or Thursday you will engage your fans with a poll. 4. Write Your Posts. Formulate all of your posts for the month, or at least as many as you can in advance, with the post text, any link that will be incorporated, or media content such as video or photos. Try to keep posts short. Facebook allows you to have 420 characters per post, but try not to always max this out, keep it to the point. Post relevant content. Don't post for the sake of posting an update. Give Fans an Insider Look. Facebook Fans want more than to just know what sale you're having, or any promotion you are preparing to push. They want to feel like they have insider access that they wouldn't have if they weren't a fan. Keep this in mind when formulating content, discounts, etc. Posting Amount. You can post 5 times a day or once a day, it all depends on how much relevant content you have and how your audience reacts to these posts. If you're posting twice a day and not receiving very much feedback, it might be time to trim back the postings and maybe re-evaluate your content. Track Your Results. Keep an eye on the history of your posts feedback via "likes" and "comments", this will enable you to see which content is best received and which should be eliminated for the next month. Evaluate your posts at the end of each month. 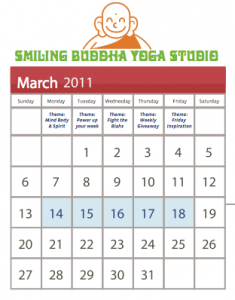 Facebook offers a free PDF with content calendar help and examples.